Sunstone is the more common name for a translucent to transparent stone called feldspar. When viewed in the presence of light, and at a certain angle, this stone appears to produce a brilliant flash of light of its own creation, without regard to outside sources. Some cultures give this a deep significance and reverence. In this article, we are going to discuss feldspar’s physical and metaphysical properties and many other interesting characteristics about this beautiful stone. Sunstone became a more widely recognized and available mineral after an ancient lava field in Oregon was discovered to contain a significant amount of Sunstone. Prior to the early 1900s, the crystal was rare and quite expensive when compared to other known stones of the era. Before its discovery in Oregon, it was primarily known to exist in Norway, leading to tales of Sunstone use in Viking lore. Native Americans were also found to possess the stone prior to its discovery by the general public. 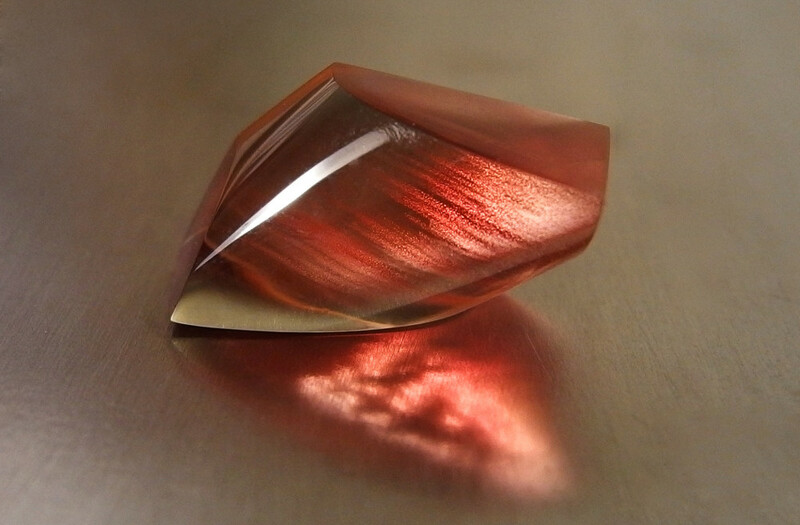 Sunstone is a mineral that often presents a copper red shade within its opaque surface. However, as a variety of Labradorite feldspar, Sunstone is also available in other shades, such as yellow, orange, or green. This gem is found as crystals in lava flows that cool over time. The name Sunstone, or sometimes Heliolite, refers to the illusion that the stone glows with its own interior light source. Sunstone is not as hard on the surface as some gems, like diamonds. Therefore, it is more likely to be damaged when worn as a ring or a bracelet. These stones are best worn as jewelry in special occasion items, such as a necklace or earring setting. There are other ways to showcase these beautiful stones, including whole and intact as paper weights, or just as is in a glass casing, or incorporated in some other fashion sense. The beauty is a versatile one and lends itself to any number of creations, limited only by one’s own human imagination. In modern times, mystics claim Sunstone offers human beings a protective energy when worn or carried with them. It is thought to provide extra strength when a person is sick or stressed. Historically, the stone has a rich presence, from Vikings to Native Americans. It is said that the Vikings may have navigated the seas using Sunstone as their guide. The stone was a compass, using its polarized light to prompt navigational choices as the Vikings sailed the high seas. The story of St. Olaf, a 13th century Viking, supports the belief that Sunstone was, in fact, used to find the “hidden sun” on cloudy days aboard their ships. A Native American legend tells the story of an Indian warrior who, wounded by an arrow in battle, bled onto the surface of a stone in Oregon, thus sending a part of his warrior spirit into these stones, turning them red and installing each one with a sacred power forevermore. 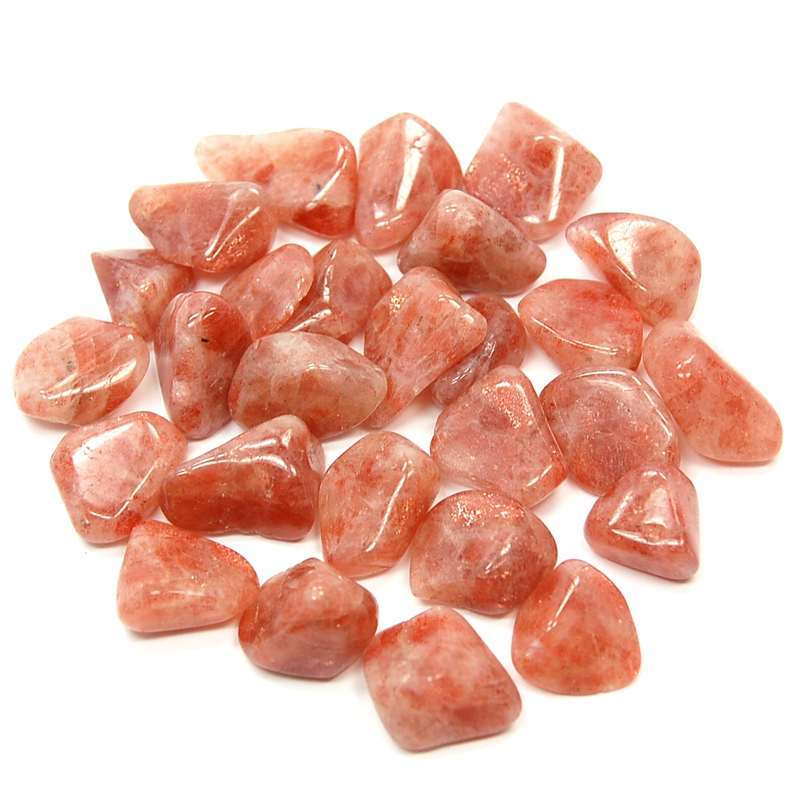 Many also believe in the power of Sunstone healing properties. One can find the stone crystals in shops catering to the power of crystals and natural minerals. The illuminating beauty of the stone is forever captivating within the imagination. It is not hard to understand why people often believe that this crystal is somehow magical in nature. For individuals with a reverence for nature and natural remedies, there is a strong faith in gemstone power; the stone fits in with that belief perfectly. Sunstone is a far less known gem than emeralds, rubies, diamonds or sapphires. While other stones feature prominently in famous jewels, such as royal crowns or pricey rings, feldspar does not. Nevertheless, this does not mean the stone is completely unpopular. Beautiful Sunstone carvings are viewable in museums throughout the United States. Naturally, one may find most of these pieces of art in art institutions in the state of Oregon. Sunstone Carving is one such work of art, carved from the crystal by Martha Borzoni. In 1987, it became the official gemstone of the state of Oregon. Sunstone is now highly prized within the United States, and in particular, in the Pacific Northwest region. While many raw gems need enhancements and clarification, the crystal is never known to be enhanced or treated. Furthermore, the stone has never been synthetically recreated. The unique aspects of this stone’s reflectivity makes duplicating its beauty a near impossible task. We can find Sunstone in many locations on Earth. There are deposits in Australia, Canada, Denmark, Russia, India, China, Mexico and the United States (primarily in Oregon). For intrepid gem lovers, Oregon offers plenty of opportunities to play treasure hunter. For a fee, the public can enter select mines to look for the stone at their leisure. Unprocessed ore can hold any number of Sunstone treasure, and participants may keep anything they find during their excursion. Prices may range from $50-$180 for a trip to the mines for a day of digging. Mine officials usually allow children under the age of 12 years to explore with paying adults at no additional charge. Many locations offer to refine and process the raw stones and ore for customers for an additional fee. Mines open in the state of Oregon have offices where information is available on all of the services available within each mine. There are other locations on Earth where one may happen upon raw stones in former lava fields. Nonetheless, sanctioned searches throughout the globe are limited primarily to Oregon. Sunstone is a rare, yet beautiful, gem. It has been the subject of mysteries and the object of mysticism for centuries, however. To find out more about a trip to Oregon and the opportunities to own some treasure of your own, simply search for more information on the Web. You can also reach out to the many locations in Oregon to seek your own Sunstone story. Let us know how your gemstone-hunting trip went! Hey Buddy!, I found this information for you: "Sunstone – A Beautiful Brilliance that Matches the Stars". Here is the website link: https://accessgems.com/sunstone/. Thank you.